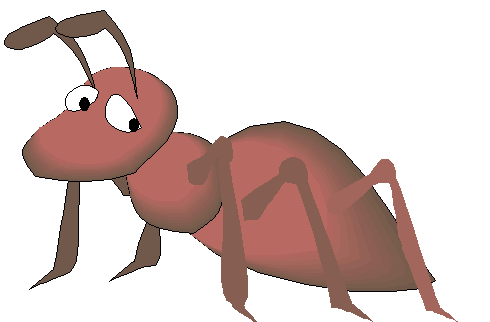 You might be wondering to yourself, “What in the world is she going to write in this post.” And yes, that thought ran through my mind also, but I actually do have some important and meaningful things to say about our little friend – the ant! There are a few things to take away from this passage, but first I want to ask you, what do you see in this verse? Without stating the obvious, the Lord is suggesting some principles here that apply to our finances in BIG ways. We are called here to observe the aunt, to watch how this little creature conducts its daily business. If you have ever paused for a moment to watch an ant, it really does exactly what this verse describes. The ant works hard during the summer, so that it can rest and relax for the later times where it may be harder to harvest food. I can’t help but think about the movie “Ants”….have you seen it? They work hard all year long and provide food not only for themselves, but also for the mean grasshoppers! They are very diligent, disciplined, and also seem to have fun doing it! As you can see, we actually have a lot to learn from the little ant, and if we had half the wisdom this creature possesses, we would be pretty well off in our finances! Be diligent in what you do, because it is very possible to look around, and find that no one else is doing it themselves! Very few people in our society today have the ability to save, yet if you can, when the hard times come, you will be more than ready to face the obstacles ahead. And trust me, times will get hard. So let’s not forget the ant today, and let’s do things a little differently, always being prepared for the future starting now. I love that ant !!! I see myself in its face !!! Great blog today !! haha I know I was trying to find the right picture! This is all I could come up with! !